Countersunk head sits flush with the surface material, for a neat, safe finish. 6 Lobe Torx drive allows high torque installation. 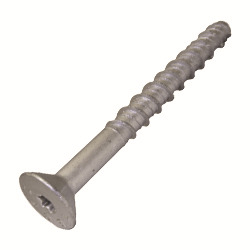 Recess plugs are also available to seal recess and render the anchor non-removable.